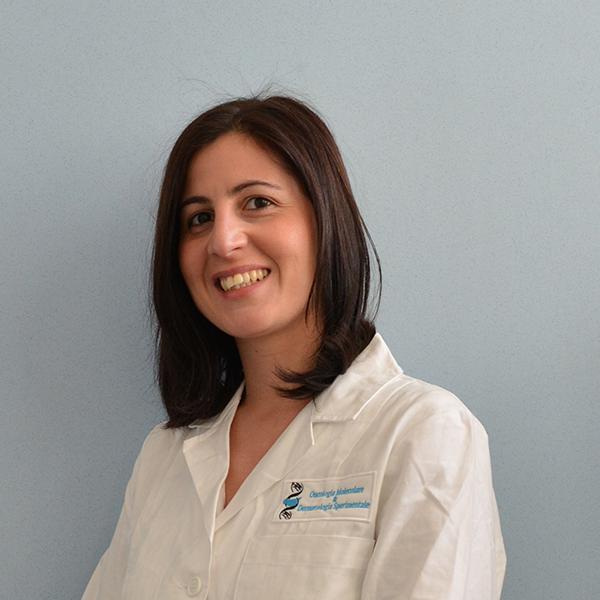 Laura Rosa Mangiapane graduated in Medical Biotechnology and Molecular Medicine at the University of Palermo in 2011. She joined Cellular and Molecular Oncology Laboratory in 2012 as a graduate fellow, where up to date her work have contributed to 6 scientific publication. She has a strong foundation in cellular biology and, in particular, her expertise is in cell biology assays (cell proliferation, clonogenic assay, migration/invasion assay, cell viability assay/drug testing). She is responsible for the isolation and characterization of cancer stem cells from solid tumor, in particular from colon tumor specimens, aiming to identify the mechanisms that regulate the epithelial tumor cells’ survival and resistance to conventional therapy.